Hide deals from seller "Shic An Upscale Nail Boutique"
Hide deals from category "Nail Salons"
Limit 1 per person. Valid on a shellac/OPI gel color manicure. By appointment only. Not available Sundays. Promotional value expires 30 days from purchase date. Pamper yourself with this deal for 50% off a shellac/OPI gel color manicure from Shic An Upscale Nail Boutique in Midlothian. 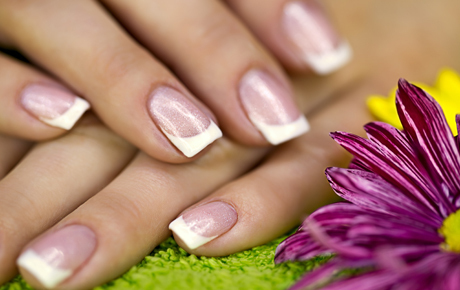 This luxurious no-chip manicure will leave you feeling refreshed and beautiful. Shic boasts a peaceful and lush atmosphere accented with rich brown hues and plush chairs. All manicures include an exfoliating scrub and massage for added luxury. Nails are expertly painted with high-quality OPI shellac nail polish for dazzling, long-lasting color. You can even enhance your manicure with a paraffin treatment to soften your hands. Shic also offers pedicures, hot-stone massages and haircare for a complete spa experience. The staff here works hard to ensure everyone's experience is relaxing and enjoyable. A spa and salon in Midlothian specializing in upscale manicures and pedicures.